The length, thickness, and color of your hair is often a good indication of the health of the rest of your body. This is particularly true in the case of hormones, as the quality of your hair may be representative of overall hormonal balance. By the same token, hair loss might be an indication that a hormonal imbalance exists. Testosterone, dihydrotestosterone (DHT), and thyroid are a few of the hormones that may have a profound impact on the appearance of your hair. Of these three hormones, thyroid is a common cause for hair loss among individuals who have either hypothyroidism or hyperthyroidism. To better understand why, we must first examine how these three major hormones interact with one another during the hair growth cycle. Testosterone: Testosterone is widely recognized as the male hormone, however it is present in females as well. The hormone is primarily produced by the reproductive organs of both men and women—in the testes and ovaries, respectfully. Smaller amounts of testosterone are also produced in the adrenal glands of both sexes. In males, the primary role of testosterone is to fuel the development of reproductive tissues. In both sexes, testosterone also plays a critical role in the development of bones, muscle mass, and of course, hair. Dihydrotestosterone (DHT): DHT is formed when testosterone is synthesized by a very unique enzyme, 5α-reductase. DHT also influences the development of sexual organs and secondary sexual characteristics, like physical appearance. Unlike testosterone, DHT may cause the hair follicle to shrink (and in some causes disappear). This leads to thinning, shedding, or loss of hair. Thyroid: Thyroid hormone is produced by the thyroid gland, one of the body’s largest endocrine glands. Thyroid hormone serves as a “regulator” of sorts, controlling a number of vital body functions. These include metabolism, involuntary muscle contractions, and the production of cellular energy. When a thyroid condition exists, the body has a difficult time producing the correct amount of thyroid hormone. As a result, the body becomes unable to effectively regulate other body functions, including hair growth. Hypothyroidism is a medical condition in which the thyroid gland does not produce enough thyroid hormone. Common causes of hypothyroidism include iodine deficiency, lack of proper gland function, or even stress. As noted above, DHT is a synthesized version of the hormone testosterone. Unlike testosterone, however, DHT disrupts the natural growth cycle of hair and may eventually cause total loss of the hair follicle. For some individuals, a thyroid disorder may perpetuate hair loss by exacerbating the conversion of testosterone into DHT. Thyroid disorders come in two main varieties: Hypothyroidism, and hyperthyroidism. A common treatment for hypothyroidism is levothyroxine sodium, a prescription medication that is available under many brand names including Synthroid, Levoxyl, Levothroid, and Unithroid. Prolonged hair loss is a side effect of this medication for many individuals, specifically for patients taking Synthroid. If you take thyroid medication and exhibit signs of hair loss, you may need additional prescription medications to effectively treat both conditions. Patients must understand that any prescription drug may cause short term or long term side effects however, and they must always consult a physician prior to starting, switching, or ending a prescription medication regimen. Hair Transplant Surgery: Hair transplant procedures are now conducted with greater precision and effectiveness than ever before. The Hair Transplant Institute’s very own Dr. Paul Rose is co-creator of Follicular Isolation Technique (FIT), a new transplant process by which individual follicular units are extracted from the donor area and transplanted with minimal scarring. More traditional Follicular Unit Transplantation (FUT) procedures are also available. Low Level Laser Therapy (LLLT): LLLT treatment for thinning hair uses state-of-the-art lasers to stimulate hair growth at the follicle. Click here to watch Dr. Nusbaum explain this exciting new technology in this introductory video segment to laser hair therapy with the LaserCap™ device. Our friendly staff includes South Florida’s finest hair transplant surgeons, microscopists, technicians, and registered nurses. We understand the agony and frustration that accompanies hair loss, and we are committed to helping you develop a customized plan that will create natural results. To learn more about Miami hair transplant procedures at the Hair Transplant Institute, please contact us online or call us directly at 1.877.443.9070. The nutrients in the foods we eat have a profound impact on the way we look and feel. When it comes to our scalp, there are a variety of nutrients that help to create and maintain healthy hair. These include macro nutrients, vitamins, and minerals that are easy to find in the items at the local grocery store, farmer’s market, or vitamin shop. These foods for healthy hair set the stage for natural hair growth by promoting circulation, nutrient delivery, and follicular stimulation. In this article, we focus on the nutrients that fuel healthy hair growth, texture, and thickness. For specific foods, we invite you to reference our Healthy Hair Diet guide. There, you will find the top 5 all-natural foods for healthier hair. Protein. Hair is mostly composed of natural proteins, so it’s of little surprise that the first macro nutrient for healthy hair is lean protein. Eating a diet rich in protein may help to keep your hair looking and feeling its absolute best. Moreover, some sources of protein offer additional nutrients for healthy hair. For example, salmon is a lean protein and contains Omega-3 fatty acids, B-12 vitamins, and iron that help to fortify hair and regulate its growth. Gluten Free Carbohydrates. Gluten is a protein found in most grains, oats, and barleys. An estimated 1 in 133 Americans has some sort of allergy to gluten that may adversely affect their ability to digest other nutrients. For example, Celiac Disease is an autoimmune disease that causes the cilia of the small intestine to become agitated and swollen when gluten is digested. This drastically inhibits the ability of the small intestine to absorb nutrients into the bloodstream. Going “gluten free” is easy, and some of the most delicious carbohydrates will still be on the menu. Corn, cornmeal, lentils, rice, and potatoes are just a few examples of the best gluten-free carbohydrates that will keep you full without the risk of agitating your digestive system. Vitamin E. Vitamin E is among the best nutrients for healthy hair. In some studies, this vitamin has been show to promote healthy blood circulation. Improved blood flow means enhanced nutrient delivery, especially to the scalp. In this way, vitamin E can help hair grow by promoting oxygen and nutrient delivery directly to the hair follicle. Vitamin C. Like vitamin E, vitamin C promotes health circulation and is one of the best nutrients for healthy hair. Moreover, vitamin C is a powerful all-natural antioxidant that protects the body from free radical damage. The sun is one of the most powerful sources of free radicals, making our hair particularly prone to free radical damage. Maintaining a diet rich in vitamin C will help ward off free radicals from the sun as well as other environmental stressors, helping to maintain healthy hair long into the future. Biotin. Biotin is an essential vitamin for healthy hair, but not necessarily because it spurs growth. Instead, biotin helps to keep hair from becoming thin and frail. By improving the overall health of the hair, biotin helps to maintain a regular growth cycle with less risk of thinning, shedding, or loss. Zinc. Zinc promotes healthy hair by helping the body to balance hormone production and other cellular activities. Zinc also helps the body absorb vitamins, making this nutrient a must for healthy hair. Researchers also believe that zinc may help to curb the production of DHT, a synthesized version of testosterone that damages hair follicles and leads to shedding, thinning, and loss of hair. Magnesium. Magnesium promotes healthy hair by helping to regulate a number of chemical processes in the body, including heart rate and muscle function. This mineral is critical for healthy hair growth, yet most individuals exhibit magnesium deficiency. To maintain a diet rich in magnesium, look for foods like fish (halibut), cashews, soybeans, almonds, and green vegetables like spinach. Iron. Low iron levels may put an individual at risk for hair loss, but getting more iron is easy. Among the best sources of iron are whole eggs, liver, dried fruits, salmon, and legumes. Iron supplements are available as well, however one should always opt for natural food sources as they contain nutrients that are more easily ingested and utilized by the body. Hair loss affects millions of men and women in the United States alone. Losing one’s hair does more than impact physical appearance. It may have a profound affect on professional, social, and personal relationships. Visit this section of our website to learn more about the cause, progression, and treatment of hair loss. Never before have hair restoration technologies and procedures been more advanced and effective. From low level laser treatment (LLLT) to advanced follicular unit transplantation (FUT), a variety of options exist for effectively restoring the natural appearance of hair. Visit this section of Miamihair.com to learn more. Are you a candidate for a hair loss procedure? Our clinic is home to the finest technicians, registered nurses, and hair transplant surgeons in Florida. Request an appointment online, or call our clinic directly at 1-877-443-9070. The causes of hair loss in women may differ from those in men due to a number of factors, most significant of which is biology. One of the biggest biological differences between men and women are hormones. Hormones like testosterone, estrogen, and thyroid, to name only a few, largely dictate the outward appearance of both males and females. This includes height, weight, and of course, hair. Other causes of hair loss in women include genetics, nutrient deficiencies, and general health of the skin (in particular, the scalp). 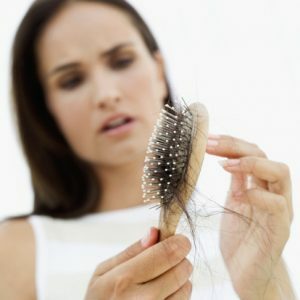 This article has been created to help women identify the 6 most common causes of hair loss including thinning, shedding, and balding. Seborrheic dermatitis: This condition makes may agitate the skin of the scalp, face, and torso. When affecting the scalp, most individuals know this condition by the name dandruff. Psoriasis: An autoimmune disease, psoriasis appears in the form of scaly red and white patches on the upper most layer of skin. Dermatophytosis: Known by the common name ringworm, dermatophytosis is caused by a fungal infection and appears as a light red circular mark on the skin. Thyroid disorders are relatively common among American adults, affecting a reported 5 percent of the population. Thyroid disorders come in one of two varieties: Hypothyroidism and hyperthyroidism. Both hypo- and hyperthyroidism may contribute to hair loss in women. In the case of the former, the body under-produces the thyroid hormone and individuals may notice weight gain, persistent feelings of fatigue, and a general inability to concentrate. Hyperthyroidism, on the other hand, is marked by an over-production of thyroid hormone that may cause other side effects like rapid weight loss, muscle atrophy, and irritability. Another common cause of hair loss in women is telogen effluvium. This disorder is characterized by unnatural thinning or shedding of the hair and is most commonly triggered by periods of immense or abrupt body stress. Women who are pregnant, experiencing extreme weight loss, or feeling persistent mental/emotional stress may develop this scalp condition in which hair spends an abnormally short amount of time in the growing portion of the hair growth cycle. This causes hair to enter the telogen phase (shedding phase) more quickly than is normal, increasing the rate at which hair is expelled from the scalp. The American Academy of Dermatology has named androgenetic alopecia as the most common cause of hair loss among both men and women. Androgenetic alopecia is hereditary; the “gene for hair loss” may be passed down from parent to child. Contrary to popular hair loss myths, androgenetic alopecia may be inherited from either the mother’s or father’s side of the family. Alopecia areata affects an estimated 4-5 million Americans, making this condition a very common reason for hair loss among women. 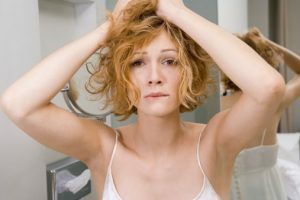 Though the precise cause of alopecia areata is not known, women who suffer with unhealthy amounts of stress or general illness are most susceptible to developing the condition. Anemia is caused be an iron deficiency in the blood. This is marked by a low level of red blood cells and may be the result of a diet that is significantly lacking in iron rich foods like egg yolks, dark green vegetables, lentils, and artichokes, among others. Anemia is also characterized by extreme fatigue and pale skin, as a low blood cell count renders the blood unable to transport adequate amounts of oxygen. Early detection is the best means of identifying, treating, and overcoming hair loss. To learn more, please visit our quick-reference guide titled Women and Hair Loss: Top 4 Signs. If you are experiencing thinning, balding, or shedding hair, you are not alone. A reported 20 million women suffer with hair loss in America alone, and there is a wealth of treatment options available. Our clinic proudly represents the top team Florida hair transplant surgeons, lead by Dr. Bernard Nusbaum and Dr. Paul Rose. To learn more, please schedule a hair loss consultation with the Hair Transplant Institute of Miami or call toll free 1-877-443-9070. Hair reconstruction generally involves one of two approaches to rebuilding the natural appearance of hair. The first approach is surgical and involves transplanting individual hairs from a donor area to the restoration area (the area experiencing thinning or balding). A second type of hair reconstruction is non-surgical. Non-surgical hair reconstruction may involve utilizing prescription hair loss medications, low level laser therapy devices, or general lifestyle changes to naturally spur the growth of hair. It is important to note that not all individuals are candidates for surgical hair reconstruction procedures. This cannot be determined, however, until the individual seeks the professional consultation of a hair transplant surgeon. Hair Reconstruction: Am I a Candidate? At this point, you may be wondering if you are a candidate for hair reconstruction. The simple answer is “yes,” because there are a variety of both surgical and non-surgical treatment options available. On a more complex level, however, you may find that the unique condition of your hair may limit treatment options in some way. You may find that you are not a candidate for a surgical hair transplant procedure, for example. Or, you may prefer to avoid prescription hair loss medications and instead focus on making lifestyle changes that may promote natural hair growth. If you found this article online, you are most likely in the Discovering Hair Loss phase. Perhaps you have noticed visible signs of thinning, balding, or shedding. Or, maybe your are simply educating yourself so you may take proactive preventative measures to keep your hair looking its absolute best for long into the future. In either case, we welcome you to our website and invite you to visit the Hair Transplant Blog homepage for additional information on hair loss, hair reconstruction procedures, images from before and after procedures, and much more. Now that you know more about the prevalence of hair loss, you are ready for the Consultation Phase. At this point, there is no substitute for the professional opinion of a licensed and experienced surgeon. We welcome you to schedule an appointment for a hair loss evaluation with the Hair Transplant Institute. Our clinic proudly represents South Florida’s top hair transplant surgeons, and our facility is staffed with caring individuals who provide an unparalleled level of service. During your evaluation, our Institute’s lead surgeons, Dr. Nusbaum and Dr. Rose, will work towards providing a full and accurate diagnosis of the cause for your hair loss. To learn more about the advanced hair loss diagnosis methods performed by the Hair Transplant Institute, please visit our Hair Loss Evaluation page. After scheduling an appointment and receiving a diagnosis, Dr. Nusbaum and Dr. Rose will help you choose a safe and effective means of treating your hair loss in a way that will deliver the results you desire. The Hair Transplant Institute provides a diverse array of leading treatment options ranging from surgical transplants to non-surgical low level laser treatments. We understand the profound ways in which hair loss may affect both personal and social life, and we are committed to helping you find a hair reconstruction method that will have you looking and feeling great, as quickly and efficiently as possible. For more information, please call the Hair Transplant Institute of Miami toll free at 1-877-443-9070. Spoiler Alert: Eating well is not enough to sustain all-natural hair growth. In fact, hair growth is largely dependent upon a variety of different factors, many of which are outside of our control. An individual’s genetic makeup, for example, plays a large role in the growth rate, thickness, and consistency of their hair. Nevertheless, studies evidence a positive correlation between certain foods and healthy hair growth. While one may not necessarily cause the other, it is important to consider how proper diet and nutrition improves the body’s ability to operate, recuperate, and grow in a general sense. The following foods and food groups have been selected not only for the ways in which they may positively impact hair growth, but also for the ways they help us look and feel our absolute best. 1. Fish (salmon): Regarded by many nutritionists as the “best” source of protein, salmon has a nutrient profile that is hard to beat. Omage-3 fatty acids, B-12 vitamins, and iron make this fish a must for individuals looking to add depth to their daily nutrient intake. Omega-3s are particularly important as they nourish the scalp and may create the appearance of fuller, more vibrant looking hair. 2. Beans, Chickpeas, & Lentils: Kidney beans, black beans, chickpeas, lentils, and soy nuts are all good examples of legumes that have a healthy nutrient profile that may significantly improve the appearance of your hair. That profile includes a substantial amount of protein, iron, zinc, and biotin, each of which are fundamental building blocks for healthy cellular development. 3. Walnuts, Almonds, & Cashews: Walnuts, brazil nuts, almonds, and cashews are among the most simple and healthy food items available. Moreover, these popular food items are often available in single serving packages, making them an ideal on-the-go snack option. 4. Chicken: Chicken is a great source of lean protein, an essential component of a healthy diet that has also been linked with the development of stronger and more resilient hair. Chicken may be prepared in unhealthy ways, however. As a general rule, always discard the skin and fatty deposits of chicken that is prepared rotisserie-style. Breaded and deep fried chicken is likewise to be avoided. Instead, opt for grilled, baked, or broiled chicken that is prepared using extra virgin olive oil, spices, light salt, and pepper. This will provide a substantial amount of lean protein without unhealthy amounts of sodium and fat. 5. Eggs: Eggs are a great health food because they contain high amounts of casein protein, a special type of “slow release” protein that is most prevalent in dairy products. Moreover, the yolk of a whole egg is rich in omega fatty acids much like salmon. There is such a thing as “too much,” however. As a rule of thumb, try making an omelet with 2 egg whites per every whole egg. This combination delivers an optimal amount of lean protein (egg whites) and healthy fats (egg yolk). Hair Loss: Hair loss affects millions of men and women, and it may have profound implications that extend far beyond the physical appearance of one’s scalp. Visit this section of our website to learn more about male pattern baldness, the progression of baldness, and the unique considerations involving women and hair loss. Hair Restoration: Hair restoration techniques have evolved to become more effective and affordable than ever before. In ever increasing numbers, men and women are turning to hair transplant surgeons to provide state-of-the-art procedures based on advanced evaluations and diagnoses. From hair loss drugs to cutting-edge laser light treatments, this section of our website is an essential resource for individuals who are actively considering a procedure and are interested in learning more about the available treatment options. Hair Loss Evaluation: Are you a candidate for a hair loss procedure? 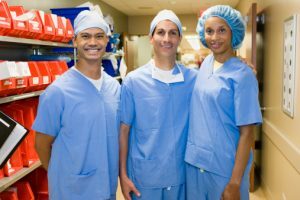 Our practice proudly represents the finest surgeons, technicians, and registered nurses in South Florida. Learn more about hair loss evaluations at the Hair Transplant Institute of Miami by visiting this section of our website, or call our clinic directly at 1-877-443-9070. Perhaps you are part of the two-thirds of all men who experience male pattern baldness. Or, maybe you are one of the 20 million women who suffers with hair thinning or balding. Male or female—you are not alone. Hair loss affects a vast majority of Americans and may lead to serious personal, social, and professional setbacks. Hair loss may profoundly affect the way we feel about ourselves and others, making our self-image, confidence, and quality of life suffer. Fortunately, treating hair loss has never been more effective. Today, hair transplant procedures create beautiful results that look and feel identical to your original hair. In the initial consultation, Dr. Nusbaum explains in detail the nature of the procedure and answers all your questions. He examines the pattern of your hair loss and reviews the hair growth patterns of your family members. Dr. Nusbaum also offers an honest evaluation of whether or not he considers you a good candidate for hair restoration. During a discussion of your expectations, Dr. Nusbaum addresses the feasibility of meeting your personal goals. He provides an estimate of the number of grafts required to complete the transplant and how much time to set aside for the procedure. The overall timeframe for the treatment is based on such factors as your age and lifestyle as well as the type and quality of your hair. You will also receive a cost estimate based on the number of grafts needed to achieve your desired goals. After performing thousands of successful hair transplants, Dr. Nusbaum’s estimate is generally very close to the final cost. Your comfort is our top priority. Once you arrive at our Institute, you will be escorted to a private room where the actual transplant will take place. Dr. Nusbaum will explain each step of the procedure once more, and Dr. Rose will begin to outline the area on your scalp to which hair will be transplanted. This is all done in accordance with the plan set forth by Dr. Nusbaum in the Initial Transplant Consultation (above), and the transplant procedure continues only after you give final approval. 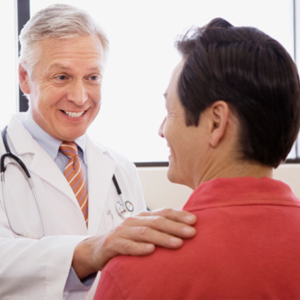 Next, you will be given medication to help you relax and a surgical gown to wear while the procedure is performed. Then, your scalp will be prepped in a relaxing manner that minimizes anxiety and discomfort. A technician will implement a special massaging technique that uses the principles of acupuncture to relieve the scalp of tension, pressure, and pain. This technique has been developed by Dr. Nusbaum and does not involve the use of any needles. Rather, the massaging creates a vibration that works in conjunction with the anesthesia to minimize any discomfort associated with the procedure. While your scalp is anesthetized, the grafts are surgically removed from the donor strip at the back of your head and transplanted to the chosen sites. The amount of pain felt during this portion of the procedure is minimal. Most patients say the pain experienced is subtle and on par with a visit to the dentist. Dr. Nusbaum is a proponent of follicular unit transplantation, a refined and proven procedure in the field of hair restoration. Follicular unit transplantation represents a huge departure from the plugs that were grafted years ago, both in technique and, most importantly, results. During the procedure, the donor strip area is carefully evaluated under the microscope. Small, specifically sculpted follicular-unit grafts are removed and implanted into the recipient area, one at a time. Tiny openings no larger than a pinprick are made in the recipient area to receive each unit. To learn more about the advanced technologies and results of this procedure, please visit this guide to Choosing a Hair Transplant Procedure. Your hair transplant procedure may take 3 to 6 hours from start to finish, depending on the number of grafts required to achieve desired results. You will be ready to leave our clinic after a brief rest period. We advise all patients to make arrangements for a driver to take them home safely, as there is a mild sedative used during the procedure that may have a lingering effect afterward. Most patients return to work the following day and resume full activity, including their fitness and sports regimen, within a few short days. In most cases, evidence of the transplant goes undetected by others until months later when they notice your fuller, natural looking head of hair. Many patients opt for a second or third procedure to optimize their opportunity for a full head of hair. Procedures can be done as gradually or as frequently as you wish provided favorable medical conditions for prime hair growth are taken into account. If you are considering hair restoration, you already know that the loss of hair can impact your personal, social, and professional life. Hair loss changes how you look, but it can also alter how you feel about yourself and diminish your influence on others. Perhaps you’ve explored the topic on the Internet, or talked with friends or colleagues who have had a hair transplant. Regardless of how you found us, we’re glad you did. In all likelihood, our team of hair transplant surgeons and specialists can make a difference. The creation of natural-looking hair is just one of the benefits of a world-class hair transplant procedure. Hair restoration also makes patients look younger and feel better, two intangibles that may have a profound impact on everyday life. Both men and women report feeling more confident in their interpersonal and social relationships. Business performance often improves. They feel more self-assured, more engaged in life, and project a stronger, more positive self-image. The impact of a successful transplant is without a doubt life enhancing. For some people, it can be life changing. With so much at stake, you need to know you can trust the doctor, the procedure, and the results. You want people who will understand the agonizing distress of hair loss and listen to your expectations. You want a comfort and speedy recovery. The Hair Transplant Institute of Miami is lead by Dr. Nusbaum and Dr. Rose, two surgeons with impeccable credentials and extensive experience that make each a leader in the field of hair restoration. Both Dr. Nusbaum and Dr. Rose invest themselves in the results of every transplant, and they care that each patient looks and feels better. The Hair Transplant Institute is a state-of-the-art facility operated by an exceptional staff of surgeons, microscopists, surgical technicians, and registered nurses. Our Institute is among the finest in the country, and we stand by a steadfast commitment to excellence. Put simply: You’ve found a team and a practice you can trust. Technical skills are only part of what’s required for a successful transplant. Restoring hair to a fuller and more natural-looking state also requires artistic skill and attentive execution. In this way, hair restoration is also an artistic endeavor that requires the surgeon to develop a refined sensitivity to the ways in which hair grows with natural balance and proportion. To achieve the best results, transplanted hair must blend with existing hair in a manner that promotes continuity. More on Creating Natural Results: Visit this article to learn more about the 5 Characteristics of a Natural Looking Hairline. After conducting a hair loss evaluation and determining the best procedure to attain desired results, Dr. Nusbaum works with each patient to learn specific personal goals and desires. Dr. Nusbaum helps patients understand how each step of the procedure and post-procedure will be conducted to produces exceptional results. By working with the overall image of the patient’s appearance, Dr. Nusbaum is attuned to how the hair will look in the weeks and months following the procedure as well as decades thereafter. Dr. Rose conducts restoration procedures with the utmost care and skill, working to execute each procedure with precision and a sharp eye for aesthetic detail. Dr. Rose is committed to the same ideals as Dr. Nusbaum, striving for perfection in every patient with professional honest and integrity. A recognized leader in the field of hair transplantation, Dr. Paul Rose has earned a wealth of experience and accolades that evidence an unparalleled level of professionalism and expertise. Most excitingly, Dr. Rose is co-creator of the Follicular Isolation Technique (FIT), a new means of harvesting and transplanting individual hair follicles with minimal scarring and beautifully natural results. The Hair Transplant Institute of Miami is located in the beautiful and serene Offices of Merrick Park, just off Ponce de Leon Blvd. in Coral Gables, FL. Our Institute uses only the most advanced and up-to-date technologies and procedures. We invite you to contact us online or call directly at 877.443.9070. There is plenty of confusion when it comes to identifying what causes hair loss. Some of the confusion is derived from loosely connected assumptions concerning genetics and having a “predisposition” to balding. This level of confusion is often perpetuated by the simple misunderstanding of how hair naturally grows, sheds, and regrows (as many individuals mistake the “shedding” phase for hair loss). An immense degree of fear and anxiety underscores the notion of losing one’s hair, spurring the creating of half-truths and myths to account for the phenomenon. This article has been created to sort fact from fiction and to help you learn more about the causes of hair loss. Myth 1: Hair loss is hereditary (genetic). This myth is only part false. Yes, some individuals are predisposed to hair loss due to a condition know as androgenetic alopecia. However, genetics are not the only factor at play when it comes to hair loss in men and women. What causes hair loss: Hormonal changes, overall diet, lifestyle, stress, and unexpected trauma may each play a role, depending on the unique circumstances of the individual. Myth 2: If my mother’s side of the family suffers with balding or thinning hair, so will I. This myth is derived from the knowledge that the X chromosome contains one of the primary genes for male pattern baldness. Since men inherit the X chromosome from their mother only, many assume that the “baldness gene” is something that may be passed from the mother’s side of the family. Myth 3: If I find hair on my pillow, that means I’m going bald. This “myth” can be true or false, depending on how much hair is found on the pillow. 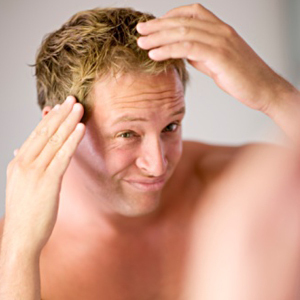 Rapid hair loss, or shedding, can be a sign of balding. However, it may also by a byproduct of your hair’s natural growth cycle if it is minimal. To get a better idea of the severity of the shedding, try the “Hair Pull Test.” Grab a clump of 50 to 100 hairs and hold it between the thumb and index finger. Then, gently but firmly pull away from the scalp with a stable degree of traction. If 2-5 hairs are obtained via the Hair Pull Test, you have nothing to worry about. If, however, 10-20 hairs are obtained in this manner, it may be a sign that hair loss symptoms are setting in. Please visit our Hair Loss Evaluation page to learn more about the tests that are available to confirm hair loss. Myth 4: Wearing a hat conceals the hair from sunlight, damages the hair follicle, and causes hair loss. This myth is 100% false. First, wearing a hat does not damage the hair follicle. Moreover, shielding hair from the sun does not stunt growth nor does it promote hair loss. At the opposite extreme, individuals may wonder if excessive sun exposure triggers hair loss by damaging the scalp. This myth is also false. So, enjoy the warm Miami sun, friends—research actually shows healthy amounts of exposure may strengthen the immune system by triggering all-natural vitamin D production! Myth 5: Excessive brushing, combing, or styling of the hair may cause premature loss. False. 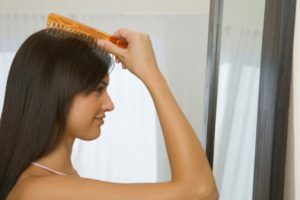 Neither brushing nor combing hair will cause “hair loss,” though hair may naturally fall out and collect on your comb/brush during the process. This is a part of the hair growth cycle, and it is perfectly normal. To learn more, please visit our page on How Hair Grows. Myth 6: Eating well will help me keep my hair. Unfortunately, this is not necessarily true. Eating a diet that is rich in vitamins, minerals, and macronutrients is essential in maintaining overall physical and mental health. For this reason, it is highly recommended that men and women of all ages take proactive steps towards “eating well.” However, no particular food groups or nutrient supplements have been scientifically proven to prevent hair loss. At Hair Transplant Institute of Miami, we understand that hair loss may have a profound affect on personal, social, and professional life. If you or a loved one suffers with hair loss—you are not alone. Nearly 2 of every 3 American males experiences hair loss by age 50, and an estimated 20 million American females experience symptoms of thinning or balding hair. Contact our institute online to request additional information regarding hair loss causes, evaluations, and available treatments. We also invite you to call our practice directly at 305.925.0222. Hair loss in women is more common than many may think, amounting to nearly 20 million females in America alone. Most women do not notice signs of thinning or balding in their hair until the age of 50 or 60, long after it has already begun. It may take women much longer to notice the signs of hair loss compared to men because they tend to wear their hair longer, effectively hiding telltale symptoms of hair loss for many years. Women also lose hair across the entire top of the head, in contrast to men who typically lose hair in concentrated areas like the crown or temple. This wider, more dispersed pattern of hair loss adds to the difficulty of early detection. Yet it is early detection, evaluation, and treatment that are the 3 keys to effectively treating hair loss in women. Early detection is perhaps most important, as hair loss is most effectively treated during the early stages of development. For this reason, it is important that women learn to recognize the signs of hair loss while also performing regular self-examinations to ensure symptoms are caught as soon as they become visible. Thinning hair: Unlike men, hair loss in women tends to develop in a general or widespread area throughout the top of the head. Women must pay particular attention to this region, checking regularly for noticeable changes in thickness. A wider “part”: If you regularly part your hair, take note of the thickness/width of the part. Parts will appear to become wider as hair loss progresses. Hair accumulation on pillows, combs, and in the shower: It is normal for hair to accumulate on our personal items and throughout our living spaces. However, hair accumulation in these areas will become more pronounced as hair loss progresses. Here’s a tip: Look for increases in hair accumulation on the pillow of your bed and the comb you use most. Effectively monitoring hair accumulation in the shower may be more difficult; some hair is inevitably washed down the drain, and it may be challenging to separate your hair from someone else’s. A more visible scalp: Take notice of how much of the scalp is visible when your hair is pulled back. As hair loss progresses, the underlying scalp will become increasingly visible.